As you guys know, I'm in the process of purchasing my own home and have been collecting furniture and accessories! I love vintage-look, shabby chic shelves and found a shop on Etsy which sells the most lovely pine shelves. 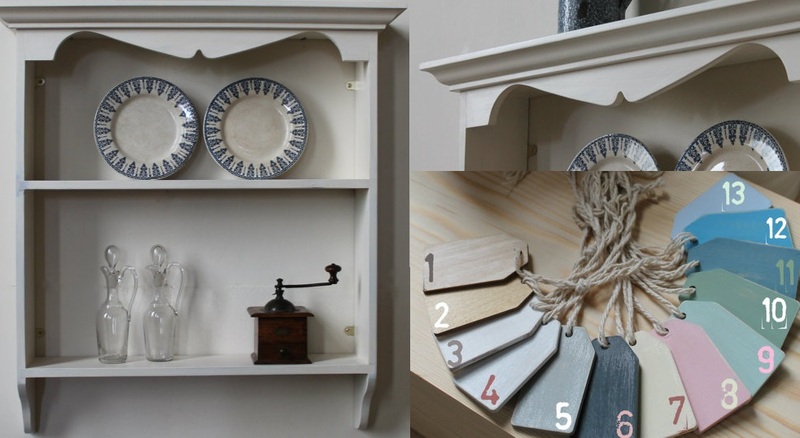 The shelves from Goodwood Originals are hand painted and made from solid pine which means they have a very nice weight to them and they're made to last. They're made in Britain too which is fab, you guys know how much I love supporting British businesses. 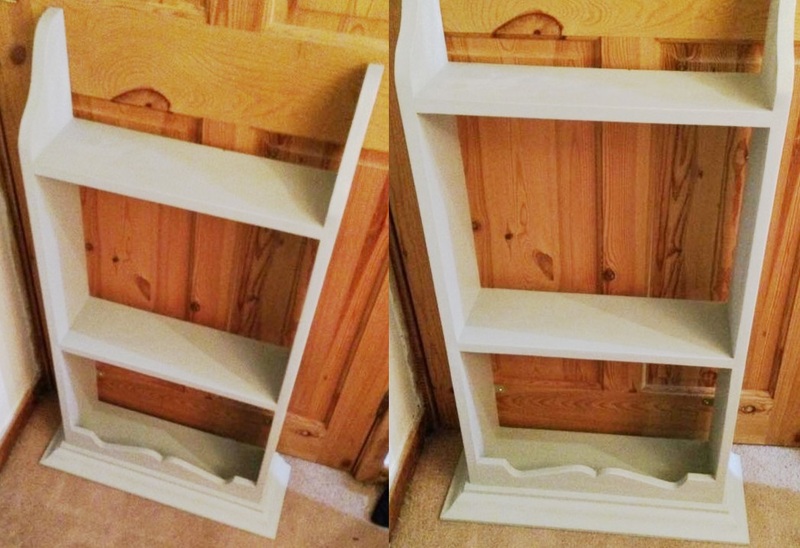 The shelf that I ordered was advertised as a bookcase/display unit. I will be using it as a display unit for cute little things in my home. You're able to choose from a variety of cute pastel colours or neutrals, depending on your taste. I chose a dove grey colour which is called 'lamp room'. There's a really lovely pink colour as well but I went with the grey one as it will match more things. The shelf comes pre-assembled with fixings already attached so all that needs to be done is fixing it up on the wall! I'm hopeless at assembling things so this was very handy for me. Also, the paint has been lightly distressed to achieve the shabby chic look and it's been varnished. So it's suitable for use in the kitchen or bathroom if you'd like it there - mine will be for the living room though! I haven't actually moved in yet and I can't put this up in my parents house so I've taken a few snaps of it (upside down) with a couple of ideas of how it could look with some things on there. I will probably be sticking some floral paper behind it on the wall as I think that would look really cute. So please excuse my upside down photos, I didn't wanna ruin it by trying to suspend it somehow- it's too beautiful! Obviously the part that I put things on won't actually be a shelf when I put it up as that's the underneath but you get the general idea. It will look very cute when I get round to putting it up. Expect another post when I move in about this beauty! I will be spamming lots of home pictures I think. Definitely have a look at Goodwood Originals. Their prices are incredibly reasonable, with this 18 inch handmade display unit coming in at under £60. That's so amazing!